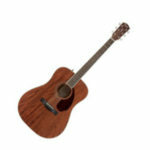 Fender is known for making low-end budget oriented acoustic guitars. Around 3 years ago, they decided to step up their game and released a new line of guitars: The Paramount Series. You can take a look at some of their best models by clicking here. What’s different is that with these guitars offer very good specs for the money you are paying. If you’ve used a Fender guitar before, you probably know that they used spruce and mahogany for their guitars. Now, they are using all-mahogany builds, which according to them is better. The PM-1 looks different from the average acoustic guitar. The mahogany top of this guitar has a great texture which makes it look like a vintage guitar. I personally am not a big fan of that look, but there are people who appreciate it. People usually pay more for vintage-looking guitars, but Fender managed to keep the price low while offering great value for your money with this guitar. Guitars with solid backs and sides are usually pretty heavy, but the PM-1 is lighter and that makes it a great option for children and others who like to take their guitars with them wherever they go. This is because of the open-pore finish. What I really love about this guitar is its C-shaped Neck which has rolled edges. This makes it very comfortable to hold and play, especially if you have smaller hands. 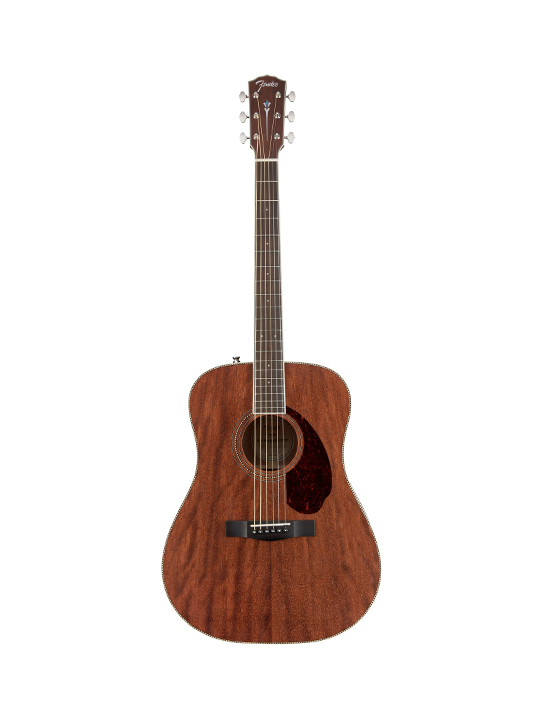 The mahogany body with a rosewood fingerboard is a great combination. The mahogany has a quality about it which really brings out the mids – the resonant earthy tones that work well for recording. 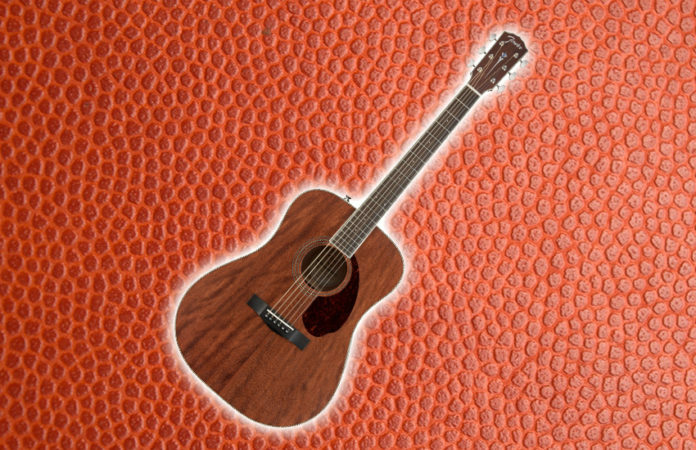 Another thing that is really cool about this guitar is the scalloped x-bracing construction which keeps the top strong and also maximizes the resonance coming out of the instrument. One of the key features of this guitar is the vintage tuning keys which I personally think that they really bring out the fullness and purity of the sound of this instrument. Overall, I would say that this is a great guitar for anyone that is looking for a guitar to take with them wherever they go. Even though I am personally not a fan of this guitar look, that’s just a personal opinion, and I have to admit that it looks good. For this price, i doubt you can get anything remotely close to the Fender PM-1, so if you want a vintage-looking guitar that is great for both beginner and intermediate players, don’t look any further and give the PM-1 a try!